Socratic Testimonies offers a well-structured introduction to the study of Socrates by way of exploring some of the main writings about him from Aristophanes, Xenophon, and Plato. In this second edition, the translations have been revised and annotated by the author. An extensive bibliography of modern works on Socrates is included. The selections are accompanied by extensive and detailed annotations that clarify names and terms with which the reader many not be familiar. 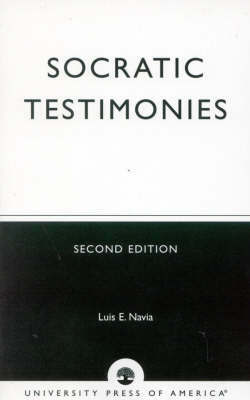 Intended as an introductory text for undergraduate students, Socratic Testimonies will help students gain an appreciation of the importance of the philosophical legacy and traditions associated with Socrates.